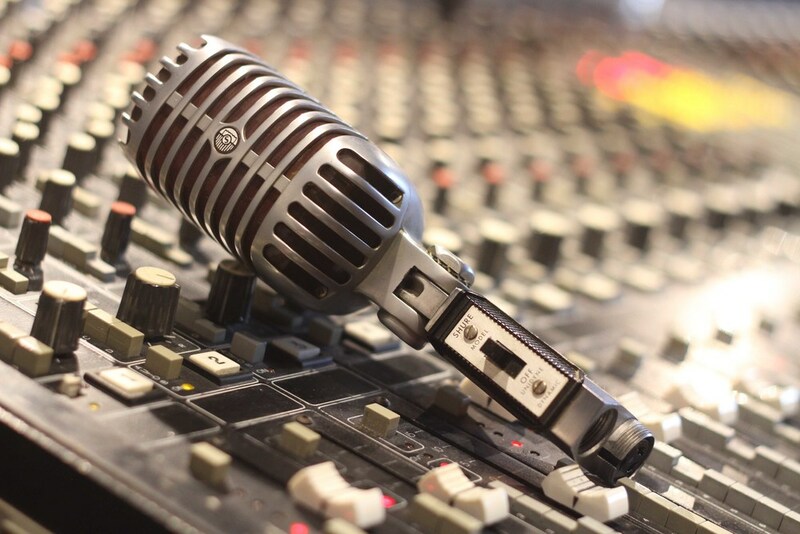 Dryer Plug Studios is a full productions recording studio located in Denver Colorado. We've been collecting gear for more than 10 years, below are some pictures of the more notable items. Hover over the images to display a little more info. 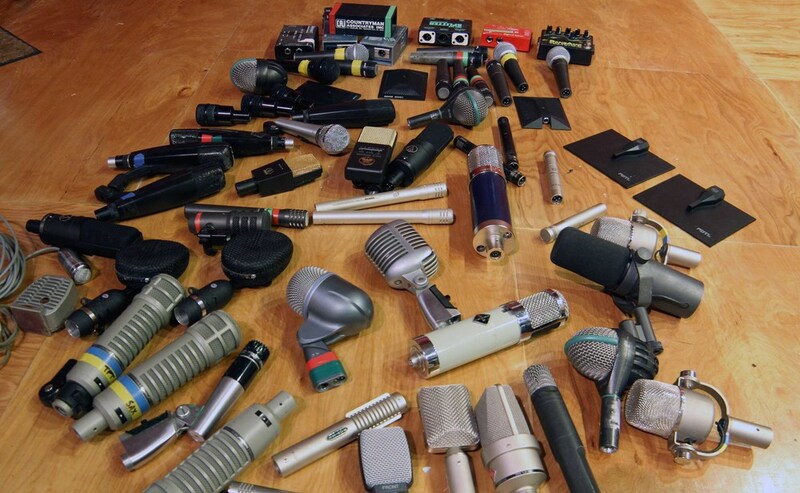 We haven't been able to get our hands on a vintage Neumann U-47, so we went out and got the next best thing. bumping into this thing it makes a beautiful sound. 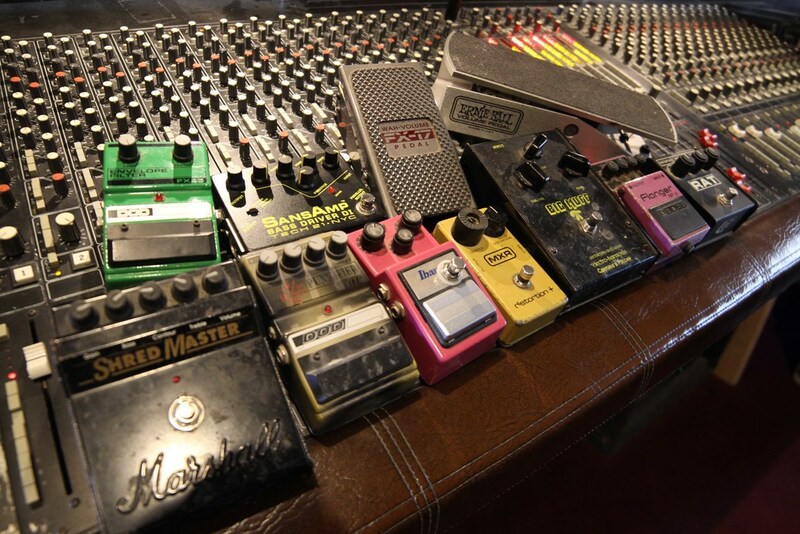 enough guitar effects to really dial in that tone. Elvis... Enough said as far as we're concerned. This photo doesn't really do a justice to the size of this drum kit, but we didn't have a wide enough lens to capture the whole thing, so we have to leave a few parts out. Some people have said that if they could only have one mic, this would be it... That being said, we have a matched pair. Great for drum overhead, and anything breass. Some of the biggest records of all time were made on Harrison consoles, and ours the the heart of the studio. Everything we do passes through it. Dryer Plug Studios is available for rent by the hour, or by the day. The hourly rate is $30.00/hour and the daily rate is $250. This rate does not include an engineer and is for a 10 hour day. You can bring your own engineer, but please contact us an to make arrangements for this.